Built for the basic printing, scanning, copy, and faxing needs of a home or a small office, the Lexmark X8350 is a midrange choice with useful features for photo printing. It is indeed a practical multifunction device for the home office and a small business, yet it is slow and does not handle plain black text documents well. For its price, users are better off with another multifunction printer from another brand. The speedy fax transmits messages at 33.6 Kbps and the CIS / CCD 48-bit flatbed scanner has an ADF, too. The Lexmark X8350 weighs 7.8 Kg, so it is fairly easy to lift and move around. The device measures 17.6 in diameter, 10 inches wide, and 14.9 inches tall. The paper feeder and output tray are quite flimsy. The control panel features an ample LCD screen for previewing photos before printing from a flash drive, memory card, or camera. The fax machine and copier can be used as standalone units. 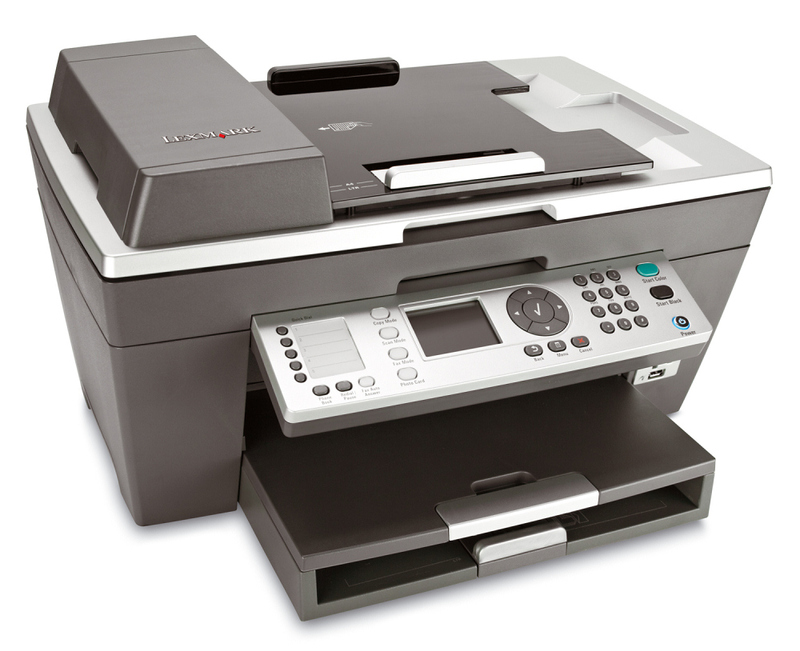 The automatic document feeder of the Lexmark X8350 helps users save time and it can handle up to 50 sheets at a time. Users can print directly from a digital camera or a USB flash drive using the PictBridge port, or from a memory card using the built-in card readers of the Lexmark X8350. The Lexmark X8350 is slower when compared to printers from other brands. The sub-par text quality may prevent users from producing high-quality documents for presentations or projects. The sensitive sensors prevent users from using generic, non-Lexmark inks.